The mitochondrion descends from a bacterium that, about two billion years ago, became endosymbiotic. This organelle represents a Pandora’s box whose opening triggers cytochrome-c release and apoptosis of cells from multicellular animals, which evolved much later, about six hundred million years ago. BCL-2 proteins, which are critical apoptosis regulators, were recruited at a certain time point in evolution to either lock or unlock this mitochondrial Pandora’s box. Hence, particularly intriguing is the issue of when and how the “BCL-2 proteins–mitochondria–apoptosis” triptych emerged. This chapter explains what it takes from an evolutionary perspective to evolve a BCL-2-regulated apoptotic pathway, by focusing on the events occurring upstream of mitochondria. 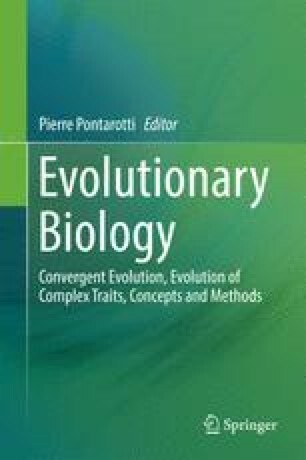 The authors thank P. Pontarotti for the invitation to write this chapter. We are grateful to Dr. Valentine Rech De Laval for help with illustrations.